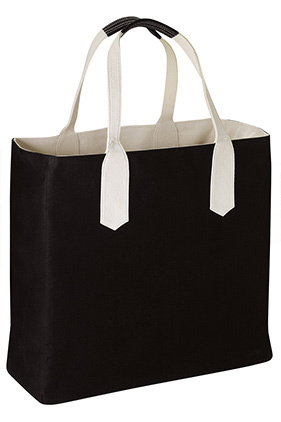 100% cotton canvas double 10 ounce layers, reversible beach tote. Water repellent treated. 30" contrasting reinforced cotton canvas handles, 9" drop. Main compartment. Slip pocket and side pocket.